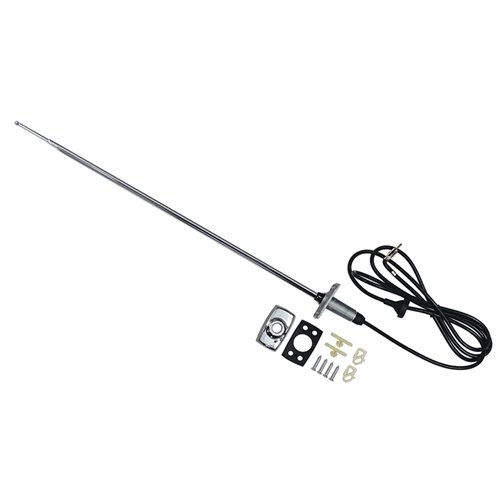 This excellent reproduction antenna has a teardrop telescoping mast and looks like the original, with base and cable attached. Includes base cover, pad, screws and clips. Also comes with fender hole template. Cable is approximately 82 inches long with a 90 degree end. Mast is not removable.